Join 1906 Lodge on Sunday, April 21st for a special Easter Brunch Celebration! 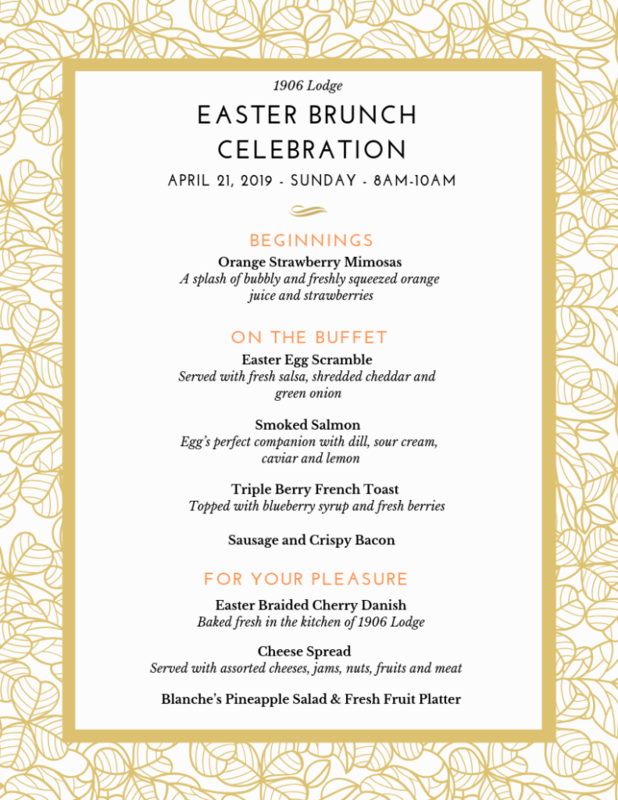 1906 Lodge will be hosting an Easter Brunch Celebration on April 21st, Sunday from 8am to 10am for all 1906 Lodge reservations. Join us for this complimentary event filled with bubbly champagne, festive Easter decorations and flowers, delectable chocolates and a special brunch menu that you don’t want to miss. Special Easter treats will also be handed out during the event. Book your rooms today!